Is Kate Middleton the Newest Mom-tographer? To be honest, I’m not huge on pop culture. So when I heard that Kate Middleton, The Duchess of Cambridge, was recently awarded an honorary membership into The Royal Photographic Society, I didn’t really think much of it. Doing some research on it, there are quite a few opinions on her, her work, and her new membership into the society that I think are relevant to talk about in regards to the photo industry as a whole. Middleton, if you’re not aware, was the first in the royal family to break tradition by having the first publicly released photograph of her new baby girl, Princess Charlotte, not be a professional one. Traditionally, the royal family releases a professionally photographed image to the press as a sort of announcement for the newest member of the family. Middleton, a lover of photography and a mom, naturally grew into the momtographer stereotype. Now, before you attach a negative connotation to that word and think she received this honor because of who she is, let’s take a step back. According to PetaPixel, Middleton actually studied photography as part of her art history degree from St. Andrews University and reportedly knows quite a bit about the craft. She’s not just snapping photos with her iPhone, either. 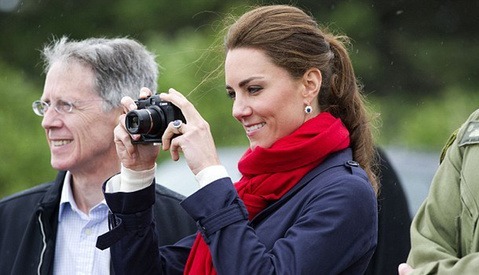 Middleton is apparently on Team Canon, and was captured photographing with a Canon PowerShot and a Canon 5D Mark II. Taking a look at the pictures she released of her first-born son (which you can see in the original article on Adorama), Prince George, and baby daughter Princess Charlotte, they’re actually quite beautiful. 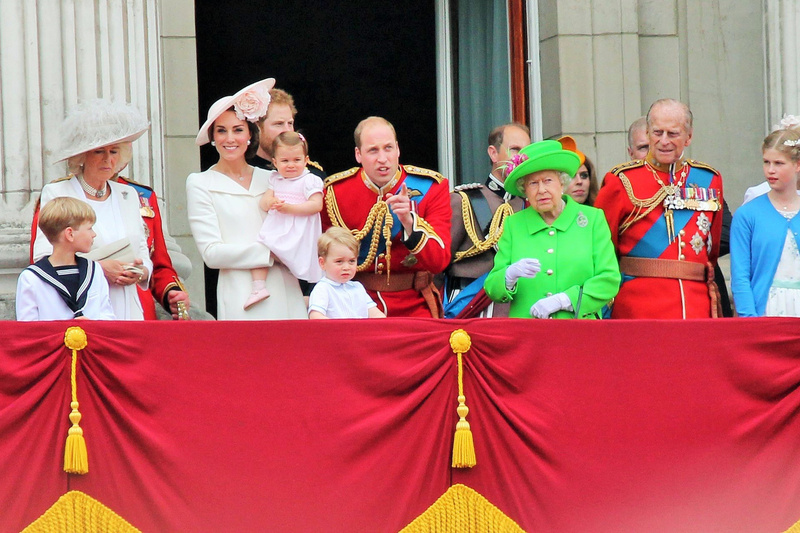 It looks like the image was taken with a mid-range lens, perhaps the 50mm f/1.2, and The Telegraph reports the Canon 5D Mark II was Middleton's camera of choice that day. Time was clearly taken to ensure they were in flattering light at the Cambridge’s Norfolk home, Amner Hall. In addition, the composition was appropriate for the subjects and the exposure, color, and editing were clean and on point. The images were, quite truthfully, far better than any of my first amateur images that I had published. What I truly enjoyed was reading up on the society’s description and explanation of what they’re about. They claim: “The Royal Photographic Society exists to promote photography and image-making and to support photographers in realizing their potential, irrespective of their level of knowledge, equipment, or skills. It has an international membership.” After understanding what the society stood for and looked for in its members, I absolutely agree that she should be awarded the honor of membership. Her images and talent clearly demonstrate that. But what about that broken tradition? 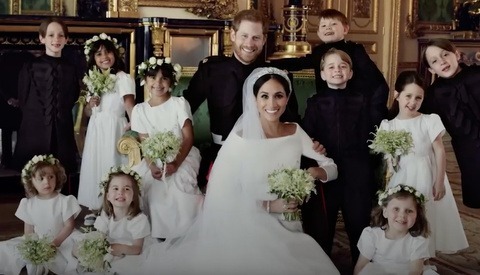 Did the royal photographer lose his or her job to a momtographer? The royal momtographer at that? I highly doubt it. 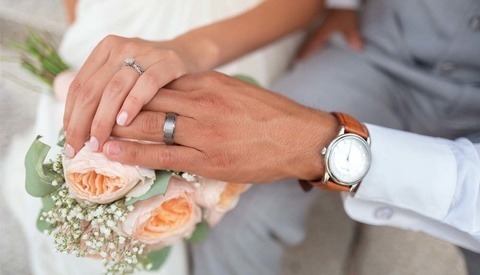 I was recently speaking for Canon in Costa Mesa with a few other wedding photographers on a panel. The question of how to compete or keep up with shoot and burners and advancing technology came up. The same answers given there apply here. Photography, no matter what genre, is a service that not only provides photography, but an experience around it as well. Just because non-professionals can now create their own images, doesn’t mean that photography will become extinct as a profession. Take a look at clothing manufacturers for example. A few hundred years ago most people made their own clothes. They knew how to, had to tools to do it, and it was less expensive for them to do it themselves rather than buy clothes. Yet, here we are today with a culture of people that typically buy clothes and most no longer even know how to thread a needle. Why? Because retail clothing shopping, just like photography, offers more than just the item being sold. It offers things like convenience, service, prestige, variety, and much more. Make your photography about more than just the photo and you’ll have no worries competing with momtographers — even if they’re royalty. A big congratulations to Middleton for a well-deserved honorary membership. She’s certainly raised the bar for momtographers around the world and I look forward to watching her talents increase. ​Images used with permission via Shutterstock. Kate Middleton, The Duchess of Cambridge, Receives Lifetime Honorary Membership from RPS - Deserved? The most disturbing thing about this topic in general is that the trendy contraction momtographer is used and the context suggest that we should be thinking of these women in negative terms. If you Google momtographer you'll find tons of results including one in urbandictionary.com. there are lots of articles and posts about these women. But if you Google dadtographer all you get is a few self-proclaimed dadtographers and certainly no negative connotation. It's probably because there are more momtographers out there that have more time on their hands and decide that they want to become full time photographers. They haven't got the skills but start charging money for junk because their friends and family think they are good. If there were as many dadtographers I'm sure the opinion of them would be the same. It's probably just a matter of time. Momtographers have just stepped on a few too many toes at this stage. Great to read an uplifting and positive article. When you're famous, the world is literally your oyster, talent or no talent. Very meh. They are in focus, properly exposed, crop wasn't terrible, white balance was off. I guess if we are using the term momtographer to describe a mother who uses a photographic device to make images of her own children then she is spot-on.